This is Part Four of my week-long celebration of eggs. Today, 20 tips for storing and cooking eggs. Generally, eggs work best at room temperature. If eggs have been in the fridge, warm them up for five minutes in warm tap water before using. However, for poaching or frying, use eggs straight from the fridge, they will hold together better. Also, cold eggs separate more easily than room temperature eggs. So, if you need to separate eggs, do it while they’re cold and then set them aside for 30 minutes to come up to room temperature. Unless your eggs are very fresh, add a tablespoon or so of vinegar to the water when poaching eggs and they will hold together better. Brown eggs have slightly thicker shells than white eggs and are easier to peel after they are boiled. Crack eggs on a flat surface rather than the lip of a bowl to help avoid pieces of shell mixing with your food. To test an egg’s freshness, put in a deep pan of well-salted water. If it stays on its side at the bottom it’s fresh. If it stands upright on the bottom it’s not so fresh, but it’s still good. If it floats, throw it out. Fresh eggs hold their shape better when poached, fried or used in meringues. Hard-boiled eggs are harder to peel if they are fresh. Use ones that are a week old for better results. Store eggs with the pointy end down to keep the yolk well centred. Eggs will last six weeks in the fridge but age much faster (about seven times faster) at room temperature. Large eggs are the standard measure used in recipes. To soft boil a large egg, immerse it in boiling water and simmer for 4-6 minutes (4 minutes for runny yolk, 6 minutes for firmer). Add a minute for extra large and subtract a minute for medium. 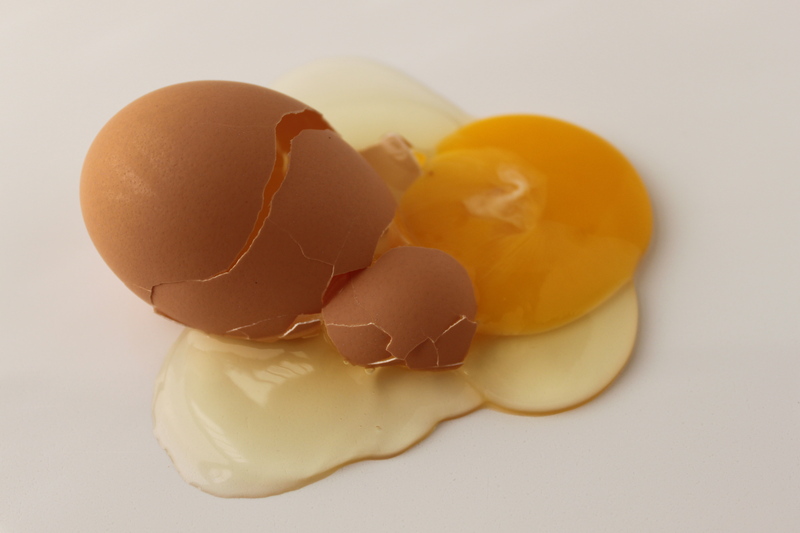 To hard boil an egg, place it in cold water and bring it to a boil then simmer for 9 minutes. Always cool boiled eggs in ice water after cooking to avoid a greenish tinge developing around the yolk. Buy brown eggs one week and white ones the next and you will always know which are freshest. When cutting hard-boiled eggs, wet your knife blade and the yolk won’t crumble. When beating egg whites, make sure there is no oil or grease residue is on your bowl or implements. Even trace amounts will prevent your whites from beating properly. If you’re concerned about the well-being of chickens always buy free-run eggs (the hens are able to move around rather than being kept in tiny cages). Have you got an egg tip to share?